Winter is here and while it’s a welcome for the many snowy owls hitting the slopes this December, the owls at HootSuite are already speeding away – releasing a Top Trending Topics on Twitter infographic and three more networks for the HootSuite App Directory: Constant Contact, Summify and Formulists. In today’s roundup we’ve compiled a collection of articles on the three newest additions to the HootSuite App Directory. Plus, media coverage of the HootSuite/What the Trend “Twitter 2011 Trends” infographic that was seen in Mashable, AdAge, and many, many Justin Bieber and Super Junior social feeds. The HootSuite eco-system continues to grow with our friends at Constant Contact, Summify and Formulists joining the already stellar lineup of HootSuite App Directory networks and utilities. See what these three companies had to say about the integration including a tutorial video from Summify and a breakdown of functionality from the folks at Formulists. As huge supporters and users of HootSuite, the market-leading social media management system, we’re excited to announce the launch of our Summify app in the HootSuite App Directory, opening up Summify to HootSuite’s 2.7+ million social media power users around the world – hoot hoot hooray! Now with in-dashboard support for Basic, Pro and Enterprise HootSuite users, it’s easier than ever to integrate Summify into your existing personal or professional social media activities, effortlessly monitoring content and publishing it to your social networks, all from one spot. Formulists Blog – Formulists Now Available from Hootsuite! 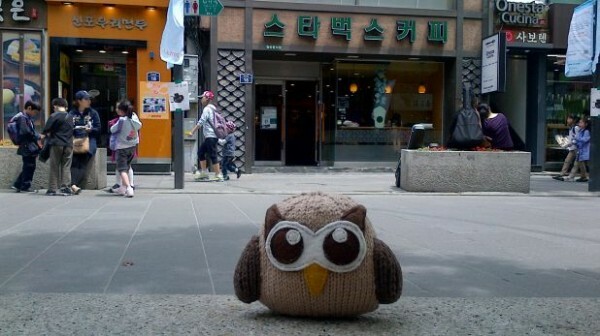 HootSuite is the ultimate command center for managing and measuring your social networks because it allows you to efficiently multi-task from one central location via a number of “streams” of information. These “streams” in HootSuite allow you to simultaneously track different audiences of interest, as well as real-time information relevant to your business. The Formulists app for HootSuite will give HootSuite users the added ability to monitor their Twitter communities in some new ways. And as of today, you can also monitor your Constant Contact Email Marketing campaigns in real-time in HootSuite. With the Constant Contact app, you can add your Constant Contact account to the available HootSuite streams and pick the campaign you want to track. You’ll see a summary of all the activity from opens to clicks to bounces, and also see a real-time stream of the new opens and clicks as they come in! Want to share a campaign via Twitter or Facebook during the day? Now you can use HootSuite’s scheduling features from these same campaigns to do just that. It’s never been easier to get a simple, real-time view of all your online marketing channels. With the Constant Contact app in HootSuite, monitoring, responding to, and acting on your customers’ interactions is now just a couple clicks away. We received some great feedback on the release. Persue some reviews from the blogosphere. The popular social media management tool, HootSuite, continues to grow its offerings with newly announced support for Constant Contact, Summify and Formulists through their App Directory. The directory only launched last month, and allows third-party developers to create extensions for the HootSuite platform — which, by the way, consists of over 2.7 million users worldwide. Constant Contact’s app will allow HootSuite users to view results of recent email campaigns, and share these across social networks. Summify’s app creates a summary of the top news shared from a user’s social feeds, and Formulists’ app makes it easier to manage Twitter lists. Constant Contact – Enables HootSuite users to view results of recent email campaigns, and share campaigns across social networks, which extends the reach of a business’s online marketing initiatives. Users of this app can view the number of emails sent, opens, clicks and bounces, as well as view who opened and clicked on links, and which links were clicked on. Summify – Users can control the large amount of news on social networks, as well as filter important updates into personalized digest summaries within HootSuite’s user-created streams. Additional features include the ability to view details of new items within summaries, such as who shared items, and the actual message that was shared. Formulists – Formulists users can manage Twitter lists more easily and view dynamic, personalized list streams within the HootSuite dashboard. This app allows users to analyze lists and streams with a variety of features, as well as view and engage top fans, followers and unfollowers. Vancouver social media management system developer HootSuite has announced additional App Directory integrations for Massachusetts-based Constant Contact along with fellow Vancouver social media services Summify and Formulists. These tools are available immediately to all HootSuite users, including Basic free users, Pro and Enterprise. 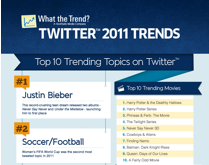 At the start of December, What the Trend (a HootSuite Media company) published an infographic analyzing the top trending topics from 2011. The story was picked up by AdAge, the Globe and Mail, Mashable, and more. We open with AdAge’s coverage of the list – delving into the genesis of What the Trend and the methodology behind the analysis. …Advertising Age suggested to WTT’s new owners that their little startup produce a weekly list of Twitter trending topics — which would be more precise than Twitter’s own list because WTT had the intel to group related trends together (for instance, fans of Justin Bieber might not tweet his name, but instead use a nickname or special hashtag that would be impenetrable to most non-fans). We launched that weekly charticle on AdAge.com with WTT as our editorial partner, and for more than a year we got way too smart about Twitter’s collective global obsessions (South Korean boy band Super Junior, anyone?). Our friends at What the Trend (now a HootSuite company) analyzed over 207,518 hashtags to identify the top trending topics of 2011. Along with the big list comes a handful of more focused categories including movies, TV shows and news events. They’ve whipped up the handy infographic below for your year-end reflection on the vox populi. 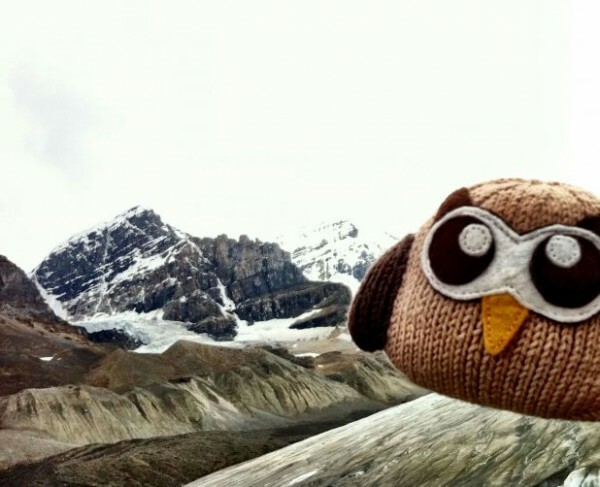 The Globe and Mail – Who tops HootSuite’s 2011 popularity list? With international trends like Super Junior (South Korean boy band), the Japanese Earthquake, and One Direction (Irish boy band) taking spots in the top 10, the infographic quickly spread across the world. Want to get involved? Our featured apps are built and maintained by 3rd party developers. If you’re interested in getting involved with the development of additional apps, request developer access using this form. As always, you can provide general feedback and feature suggestions for HootSuite on our web dashboard Feedback Channel.Stay up to date with all the latest by following @HootWatch and @HootSuite.